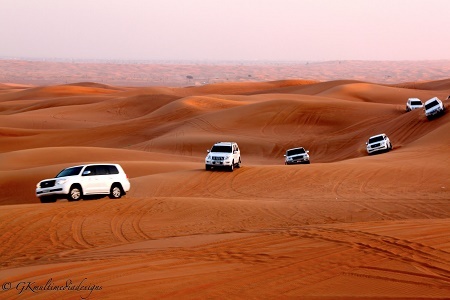 Conquer the desert in your own, no need to driver to lead you, You know your destination. It is always start when you meet your guide at hotel to greet your travel mates and head the nearby desert when you will be dropped off to begin the adventurous trip with you kind buggy. You will join the convoy and start to move heading your camp in the deep desert, once again a guide will lead the group on his buggy while you will take care of driving your one yourself. Enjoy the sand dunes drive with a breathtaking experience over the yellow smooth sands and feel the leadership spirit on your own buggy. Once you reach camp it will be the time to the BBQ dinner with delicious dishes of grilled meat ( Vegetarian food available ) with a nice show of eastern belly dance on Arabic music within totally charmed oriental atmosphere just like "Arabian Nights" stories scenarios. � Picking up and dropping off services.